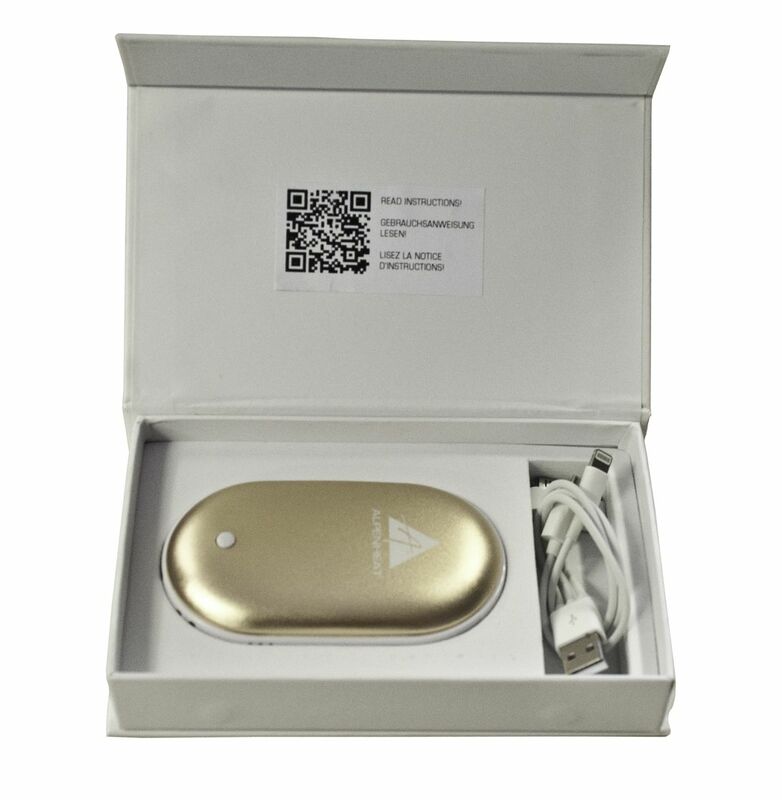 The power bank from ALPENHEAT is a mobile USB charging station for smartphones and tablets. The rechargeable power bank has a capacity of 4200mAh, a modern, stylish design and is available in four different colours! 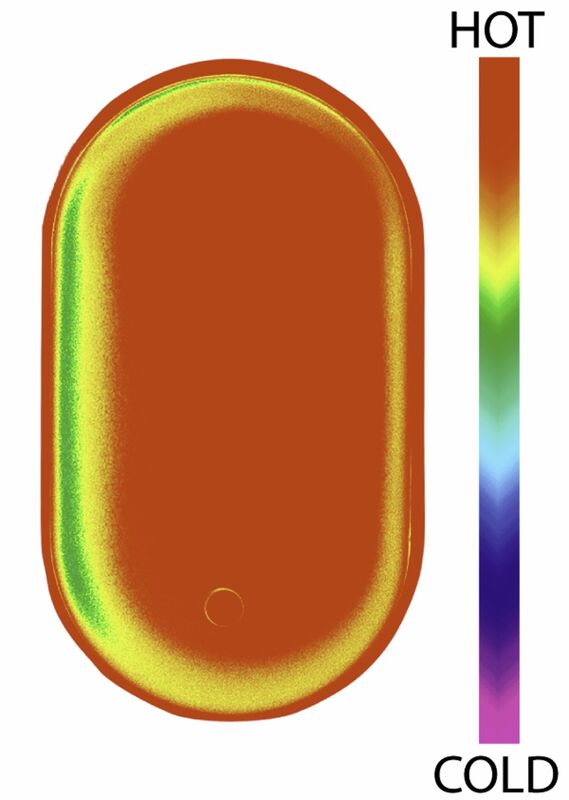 An additional feature is the hand warmer function, with three heat settings. An ideal combination - all in one! It is winter and you are on your way home from work, school or from a Christmas market. It is extremely cold, your hands are freezing and in addition, the battery of your smart phone has just quit, so you can neither listen to music nor call a taxi. Who does not know that situation? 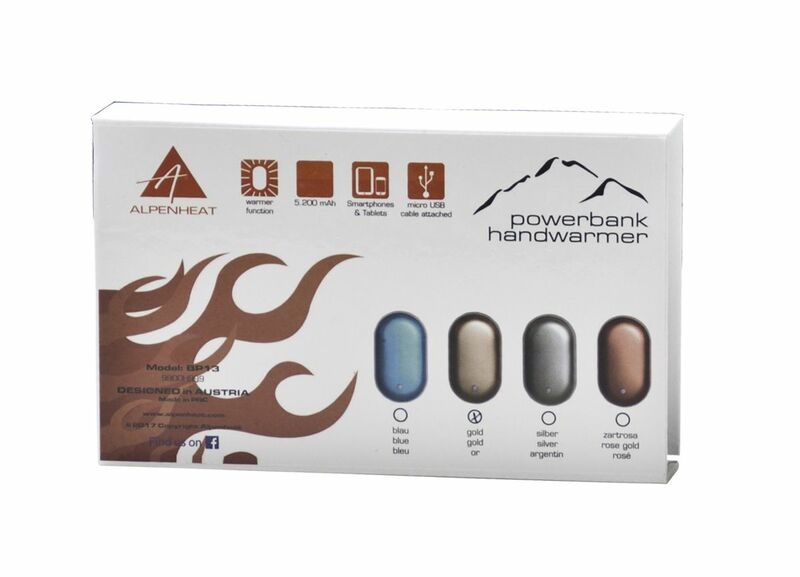 ALPENHEAT has designed the ideal solution: the power bank with hand warmer function! Your small, practical, stylish helper on cold winter days!